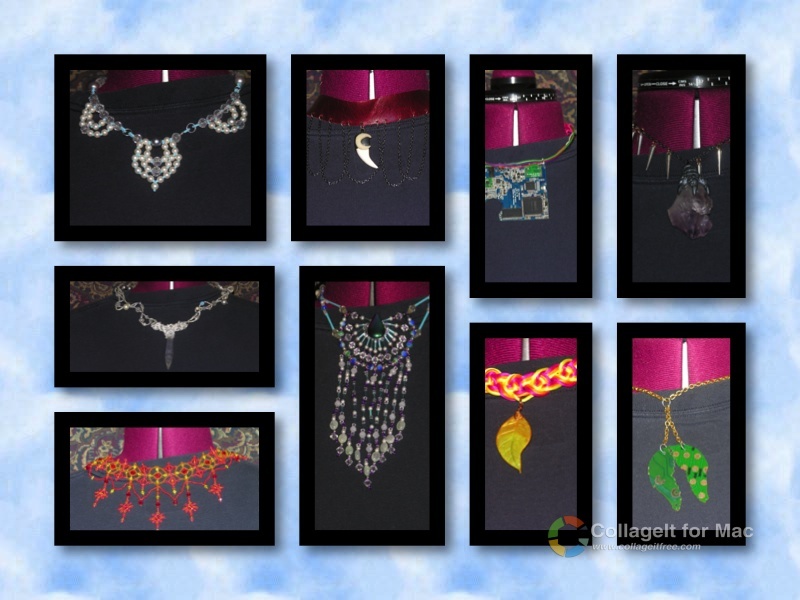 To save bandwidth, I did collages with the photos - 1 for Necklaces, and 1 for Earrings. She wants me to tell y'all that if anyone is interested in maybe acquiring set similar, she's interested. 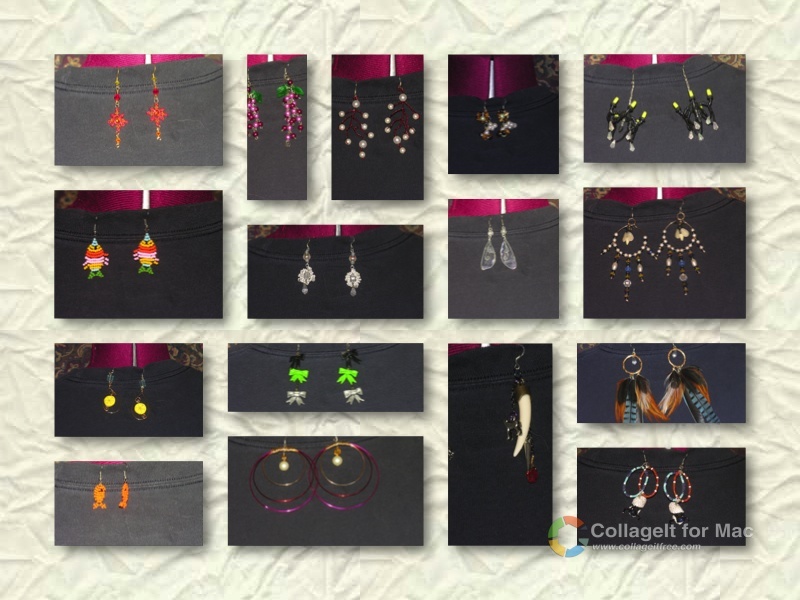 :lol: I can post single pictures of any of these - and we're discussing setting up a page on the "farm" website just for her jewelry. These are kinda hard to get good photos of, at least here, with my limited set-up. She's using a lot of Swarvoski crystals, and those lovelies are very hard for my camera to catch. Very, very sparkly! This entry was originally posted at http://fiberaddict.dreamwidth.org/759555.html. Please comment there using OpenID.